Since its inception in 1981, Akron BMX (originally Stow BMX) has been committed to creating first-class race programs and rider clinics year after year. 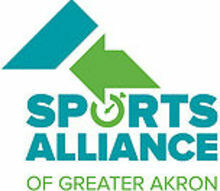 Akron BMX is a non-profit volunteer organization comprised of over 100 volunteers. Our mission is to provide youth and families within our community a fun filled, recreational sport program that promotes responsibility, character building, and family togetherness. BMX racing is a colorful and exciting sport for all ages and skill levels and has been an Olympic Sport since 2008. If you have any questions or concerns about BMX racing or just want more details, our supportive and knowledgeable team of volunteers are always happy and willing to help! Members of the Akron BMX Board of Directors, all wear distinctive staff shirts. This is to enable everyone to easily find staff personnel to answer any questions or concerns they may have as they arise. If you are ready to race, ride, or try out BMX, Getting started is easy! We've provided some helpful tips below to get you on your way! Throughout the season, Akron BMX hosts a series of new rider clinics, so make sure to check our upcoming schedule for dates and times! Akron BMX was built by the dedication of riders and parents who donated countless hours to ensure the facility's continued growth and success. If you are inteested in learning more about Akron BMX, need additional information, or if you have more specific questions, feel free to contact us by email or by stopping out at the track - just check our schedule for when we will be there.